Executive Director – Electrification, Cummins Inc.
Q. What is the electrification strategy at Cummins? A. The electrification strategy at Cummins is about global adoption. The primary objective is to develop Cummins as a leader in electrified power. Both, in hybrid powertrains and electric powertrains. This, through a series of investments, both external and internal to the business. The strategy involves looking at organic development, product launches in various markets and above all working with customers to identify when and where the happenings in electrified power are. Q. Which regions are fast moving towards electrification? A. China is moving very fast towards electrification. It is leading the way. We are also seeing a lot of activity in Europe and in India. The buzz is being fueled by a lot of talk revolving around electrification; about the government talking of regulations that might fall into place. In other regions like North America, it is largely California and city driven trends that are translating into a national effort. There are pockets in South America and other far-flung regions like New Zealand. We are seeing a definite interest in electrification at all the places. What we are yet to see is the implementation of proper regulations. We have seen some mandates like the one in Los Angeles, whereby 2030 all buses must be fully electric. We are seeing movement in pockets in the absence of concrete regulations as yet. It could, however, happen as the economics works its way out. Q. 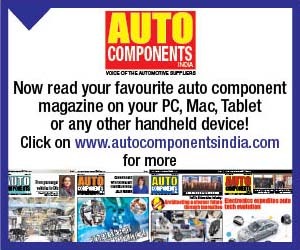 What is Cummins offering in India? 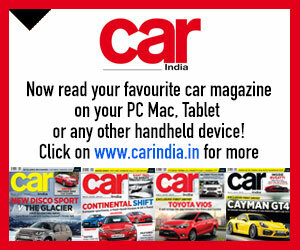 A. India is a great place for us to showcase our portfolio. We are a global leader in technology, and are keen to emphasise upon the same. We are showing the diversity of technology that we are going to offer. By doing this, we are not saying that it’s going to be a one size fits all strategy. What we are doing therefore is to offer the right solution to the customer no matter what that could be. We want to lead in as far as technologies go. We have spent a billion dollars over the last five years in India. We want to position ourselves in-line with the technology changes. Q. Which technologies do you think are relevant to India? A. 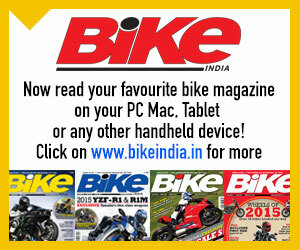 In terms of engines, we are showcasing BSIV technology that is the most relevant today. 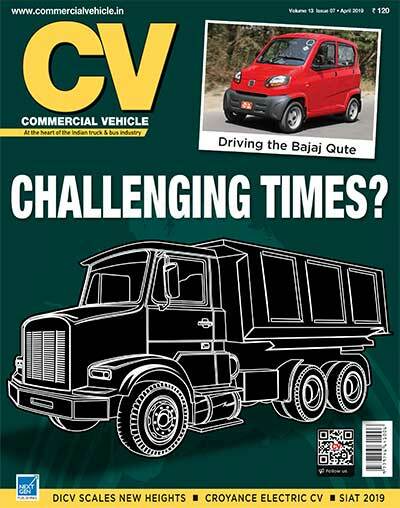 Over 90,000 BSIV Cummins engines are out on the roads. They reflect our ability to leverage our global capabilities in terms of emissions control devices and engine controls. The BSVI emission norms are coming. We are developing technology solutions for the same. The market is also fast moving towards electrification. We have the benefit of having facilitated the compliance to Euro VI elsewhere in the world. We have got a lot of our products in the market. Add to it our understanding of how the products are performing. Technology has continued to advance. With the Indian market moving rapidly towards BSVI with cost and fuel economy as key drivers, for us it is important to incorporate reliability and driving uptime assurances to our customers. A big opportunity we see is to impart value to our customers. With the component care centres we are providing a dedicated specialist servicing capability of individual components. It is this endeavour that is making a difference. Between BSIII and BSVI, it isn’t changing very much. Pistons and cylinders are the same. What is changing is the turbocharger, fuel system and the aftertreatment system. At Cummins, we are able to bring in our global leadership in technology not just for our engines but also for those customers that are looking to use our components. We are coupling this with service-ability for advanced components. A. There are challenges like the rate at which charging infrastructure is going to develop; the availability of supply base, and how the government encourages suppliers in India, and at the same time deals with infrastructure development. The danger is, if all of it is not introduced at the same time, it could well lead to chaos. Q. Are governments doing enough to advance technology? A. 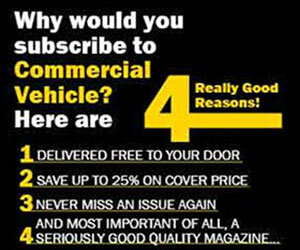 It is hard to make the economics work in commercial vehicles. The level of battery prices is high, and makes it hard for a viable payback on an electric powertrain when compared to a diesel powertrain. The costs are coming down. If the governments wants to advance technology really quickly, they are going to have to introduce a subsidy. They are also going to have to encourage investment to build a supply base. India is a cost conscious market. A local supply base is going to be critical. At Cummins, we are keen to manufacture electric solutions, but would need a supply base. It is relatively easy for us to leverage our global experience in diesel. That gives the customers a certain assurance because the technology is already proven. It is not just what Cummins can bring to the market, it is also about the entire ecosystem. Electrification will penetrate certain segments. The biggest potential in the near term is the city centers. It is there that the worry about air quality is intense. Carbon dioxide emissions are displaced by generating electricity in comparison to an engine burning fuel in the city. Immediate air quality concerns are displaced. You will see national or local goverments taking action. The benefit for cities is that vehicle speeds are low, and the range is small. It offsets to an extent the disadvantages associated with battery sizes that are needed as a consequence. Q. What about the criticism electric vehicles are facing? A. It is true that many deem electric vehicles as polluting at the source of their energy generation. There are two reasons that might keep the push to ‘zero emission’ going. One is the global impact on climate change. It is dependent on electricity generation. It is necessary to acknowledge that every day electricity generation is getting cleaner with newer renewables sources being introduced. Even if the impact is not as visible today, in the future it will be. Another reason is the local need for air quality improvement. In the near term that will certainly have an impact and electricity generation will become cleaner. Q. For CVs, how relevant are your technologies like the range extender? A. Where the charging infrastructure is today, the range extender provides the flexibility to deal with the shortcomings of full electric technology. Consider a truck travelling in Mumbai. There is no way it can be a full-electric. There is just no infrastructure to support its operation. The charging times are too long. A range extended solution would enable efficient operation. It would enable Mumbai and Pune to go the zero emissions way, and then maybe switch to a diesel engine in between. So it can offer you the flexible solution that in the short to medium term is viable in the market place without improvements in the range of battery packs, the size, and also the charging infrastructure. Q. How is battery technology being optimised? A. When we started the electrification business, one of the gaps in our own capabilities was battery technology. It is critical to electrification. Not only the battery cell but the interaction with the rest of the system. Integration and battery management software are very critical. We quickly added these capabilities to our organisation to address the gap. We made two strategic acquisitions recently. We added Brammo, which has an expertise in low voltage technology and heavy-duty off-highway type applications. We added Johnson Matthey’s UK automotive battery systems business, a subsidiary of Johnson Matthey, which specialises in high-voltage automotive grade battery systems for electric and hybrid vehicles. The company also has good knowledge in battery materials. The two acquisitions have given us a good foundation. We will build upon it. We will hire additional resources and set up manufacturing facilities. It will give us a very good initial base to build upon as we go forward. This is besides the investments in other areas of an electric powertrain. Q. What is the scope of hybrid-electric? A. Hybrids present a very good middle solution. A small battery could be had, the cost of which is not prohibitive. Providing flexibility over charging times and infrastructure, it gives an opportunity to upgrade to zero emissions. It makes a big difference in city interiors, given the frequent stop-starts. A switchover to the diesel engine in a more open environment is achieved. Where the technology is at the moment, it provides the best of both worlds. Q. In the future, would electrification co-exist with other technologies? A. Over the next 10 years, electrification may represent small proportion of our business. It is gaining visibility because of the hype. There will be a place for fully internal combustion engines, some electrification, more mainstream hybrids and fully electrics. When we prepared for electrification, we also worked on fuel cell technology. We will bring it to the commercial market when the time is right. The idea is to have a range. It won’t be a one size fits all. Customers will need different solutions for different needs. We will offer them. What is often overlooked is the charging time and the charging infra. This is despite the market segment getting an attractive total cost of ownership. If the business model demands 24×7 operation then there is a problem. The only way to sustain in such a situation is to buy a more expensive high-power battery charge solution. There will be a spectrum based upon usage in the segment. There will be a spectrum across segments to enable the selection of right technology. As battery technology gets cheaper, the amount of opportunities will rise. The need for power density and the ability to operate continuously will play a crucial role. Customers will decide in favour of it, or against it. Q. How do you lok at your R&D efforts and investments in programmes like the SuperTruck? A. The SuperTruck is a research project in the US. Its framework is setup on a very specific set of deliverables and milestones. We are pursuing it through advanced engine technologies like mild hybridisation. We are partnering on the truck side where it is about total freight efficiency. Weight reduction and ergonomics are the key focus areas. The first SuperTruck project we did, we developed a broad spectrum of technologies, some of which have already made it to the market. The Cummins advanced powertrain technology has been derived from the SuperTruck project. There are other technologies too that we pioneered in the SuperTruck. These may not ever make it to the market. SuperTruck 2 is much like SuperTruck 1 from the project structure point of view. Even the way the deliverables are instructed. It is pushing Cummins to explore new technologies. Some of those technologies will go into the products the company will introduce. Others may take a decade to see the light of day. The SuperTruck 2 is emphasising less on high power hybrid and more on mild hybrids. We need to invest in other places like higher energy hybrids and range extended solutions from an organic development point of view. We have to also look at inorganic opportunities – acquisitions like Johnson Matthey for example. Q. How are you strengthening R&D capabilities? A. A big part of the new technical center at Pune is electrification. 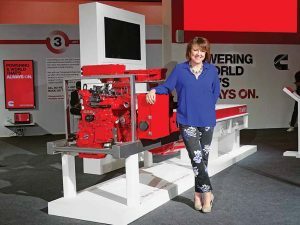 The set-up in India will not only look at the domestic needs but will also support global electrification programmes at Cummins Inc. Overall it’s a very significant investment for us, and important from a tech center footprint point of view in India, which is also a part of our global network. Q. How are you addressing the gaps in the supplier ecosystem in India? A. From an engine perspective, we moved from BSIII to BSVI in a short period of time. Of the billion dollars we have invested in India, a significant portion has gone towards technology and manufacturing upgradation. We have built an electronics fuel system capability in India. As we move to BSVI, we are building localised emission solutions in the aftertreatment space as well. In the case of electrification, we are seeing manufacturers invest in India. Our existing supplier base is encouraging. We are confident that our partners will invest with us at the right time along with us. We will have a local supply base. In India, one can’t work without a local supply base. Q. What are the growth areas over the short, medium and long-term for Cummins? A. Things look strong in India. Infra push will help the off-highway market. The truck market is looking strong. Cummins has traditionally performed well in India, and in an environment where the technology has been changing. It is a place where we thrive. We look at the Indian market as a good platform for growth. We have invested in India not only for the domestic market but also for the rest of the world.